For most cities, including Boston, buildings are the largest cause of carbon emissions. 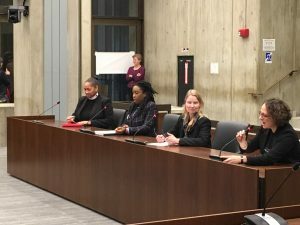 At this important hearing, testimony from net-zero experts and advocates for a carbon-free Boston—primarily lined up by BCEC—as well as members of the administration addressed how we plan to fuel the 65 million square feet of new development planned for the city. If we just move forward with the natural gas as currently slated, we will destroy any hope we have of meeting the Mayor’s stated goal of being carbon neutral by 2050. Use of fossil fuels needs to be curtailed, and our buildings must instead focus on employing renewable energy. As we all know, right now Boston is going through a building boom, with 65 million square feet proposed, planned, or permitted. Much of this building is housing, which we need, but unfortunately due to minimal guidance around climate issues, many of the developers default to running the systems for these buildings with natural gas. 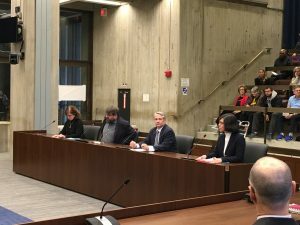 This is in direct opposition to the commitments that Mayor Walsh and the City Council have made for our community, including our carbon free by 2050 commitment that the mayor signed. The 65 million square feet of buildings being planned and built today will last 50 years or more, way past our 2050 deadline of being carbon neutral. I would like to speak briefly to why the City of Boston needs a Net Zero Planning process. Right now, the City has at least 13 disparate planning processes that do not work with each other. While we applaud the desire to plan for a climate-friendly city, coordination is currently supplementary and not built into the system. The Carbon Free Boston initiative is a good idea but has been delayed. In addition, it is my understanding that there is not an explicit portion of the process that is about including the public and hearing what the community wants to see. By the time plans are completed and integrated, which at this point may be as late as 2020, over 450 new buildings will have been built. Those buildings would almost immediately need to be retrofitted to meet our 2050 goals—this makes no sense. 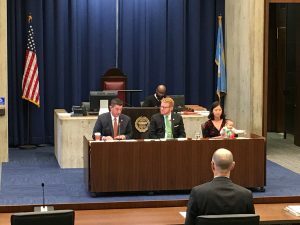 What is needed is a bold and more immediate plan that focuses on the built environment, which we know is responsible for between 50 and 80 percent of Boston’s climate change-causing emissions. We need to launch a planning process now that influences how buildings are built today by making them all electric, and we need to do this while the Carbon Free Boston study is going on. That is why BCEC and MCAN are in favor of Councilor O’Malley’s proposal, and we encourage Boston to move to net-zero planning now.